The unique construction and performance of Aski skis demands an introduction, and this is it. The heart and soul of Aski is CarbonShell. The technology consists thermoplastic infused with carbon fiber to make a lightweight skeleton that has unique flex and structural properties. The self-supporting shell allows an elastic curve to the ski that enables amazing edge hold without the vibration or skitter found in some pure carbon skis. The shells are compression molded and subjected to infrared radiation to improve bonding and achieve a smooth geometric outline of the ski. 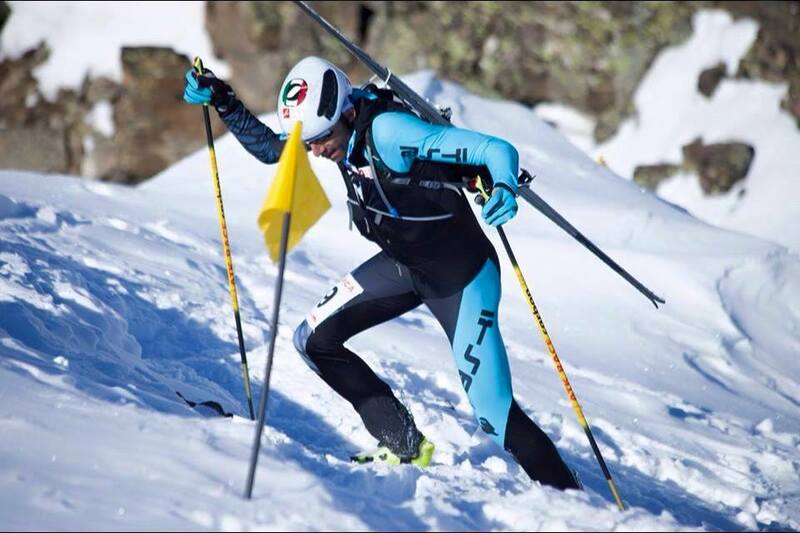 Passionate Italians are responsible for large chunk of the innovation in ski mountaineering equipment. Thus it comes as no surprise that Aski skis are the brainchild an Italian entrepreneur from Mondovi. Marco Ascheri is responsible for an industrial company specializing in molds, automation, and material development. His passion, however, is ski mountaineering, so naturally he used those very useful skills to build new toys to enjoy. It also helps that he enlisted the who’s-who of the Italian skimo scene to help design and test the skis. Aski focuses their design on a geometric balance that allows good performance in deep snow and ice. The company analyzed the geometry of existing racing skis with the objective of making a safe ski, easy to keep a transverse line and carve downhill. They integrated rockered tips to help with float in soft snow. With a concept called “flap tilting”, the ski tips feature a double curvature that reacts to the pressure exerted by the skier. The profile of an Aski introduces “dynamic” or “double” camber. With careful attention to the mounting location, a bridge is introduced between independent camber regions that lengthens the effective edge of a ski. This optimizes the grip and every type of snow. 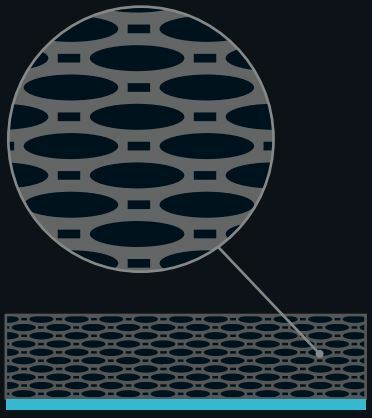 Within the CarbonShell, Aski uses a polycell foam that is a low-density, closed-cell core. 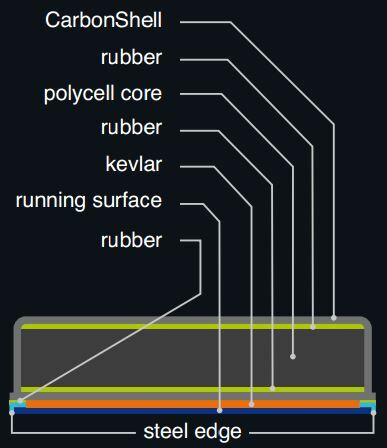 They layer the core with thermoplastic Kevlar laminates to stabilize the ski and disrupt any vibrating motions. Special elastomers (rubber) are inserted at key points to guarantee vibrations are absorbed. The resulting skis are smooth, reliable, and ski well above their weight. This has been a brief introduction to Aski skis. We’ll let the skis do the talking from here.